A number of buildings have caught my eye over the past few weeks. 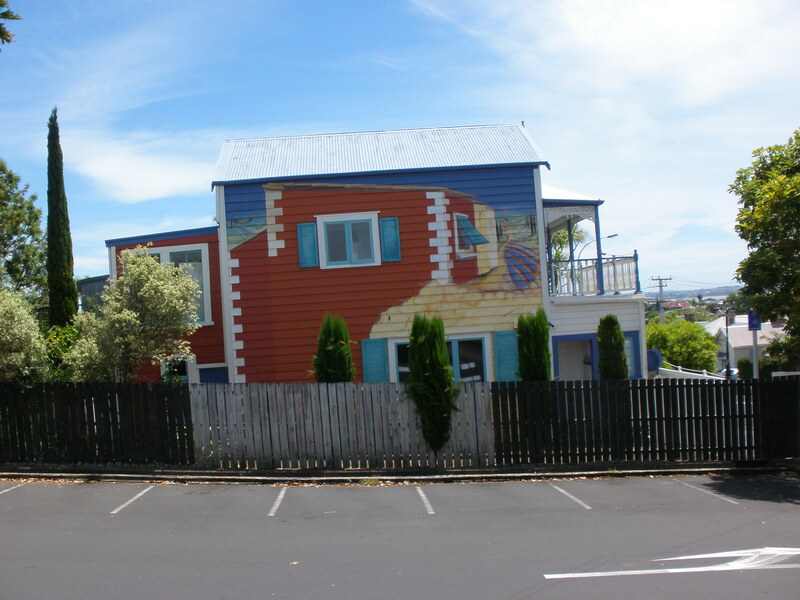 Pompalier Terrace near Redmond Street in the Ponsonby neighborhood. 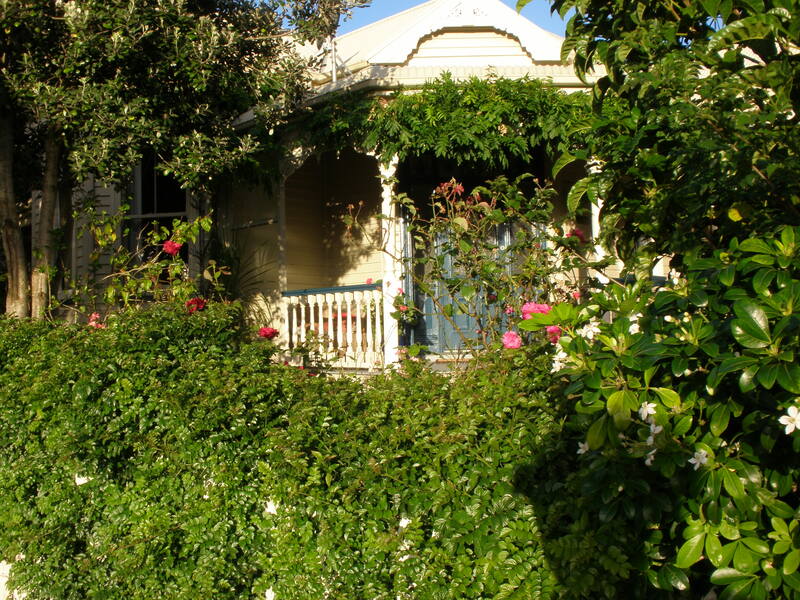 A fairly common New Zealand Bungalow-style house in the "golden hour," Sherbourne Road, Mt. Eden. 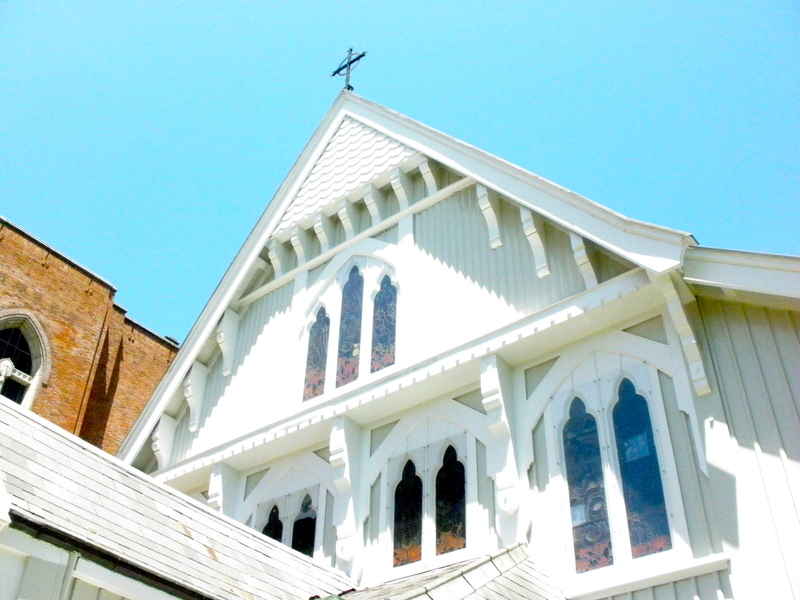 St James Presbyterian Church, on the corner of View and Esplanade in Mt. Eden, was built in 1900. It seems to be vacant now and up for sale. 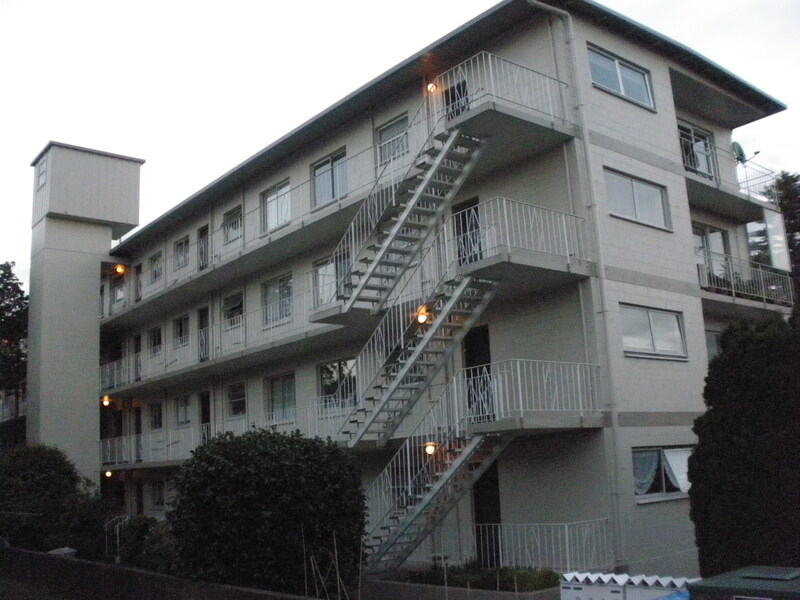 A block of flats reminiscent of army barracks, Lovelock Avenue near Mount Eden Road. 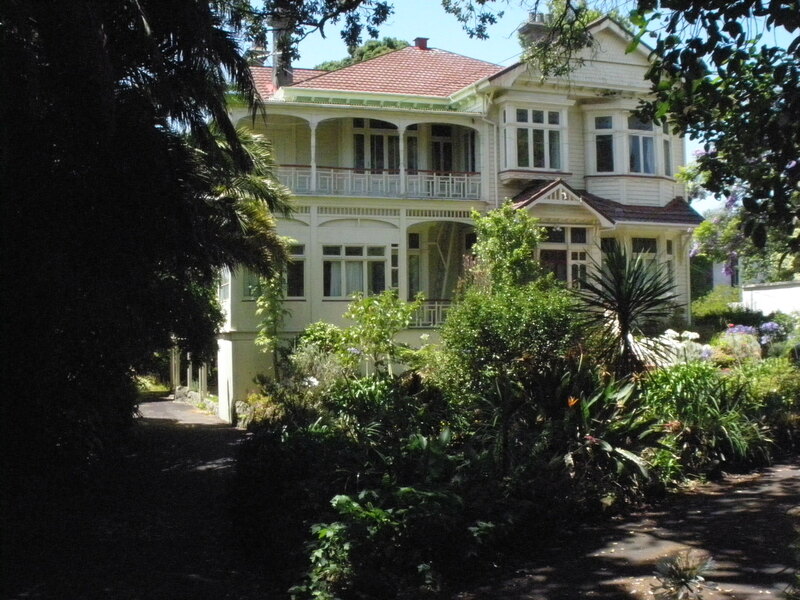 This house, on Mountain Road in the Epsom section of the city, seems to be for sale as a block of rental flats. Many older houses, including the one we live in, are preserved as income property. I'll post more on this particular house if and when I can find out more about it. 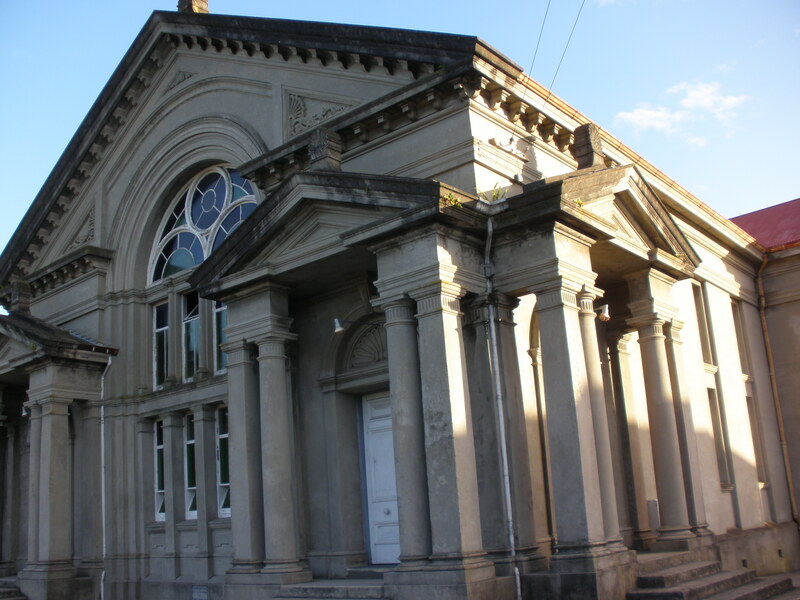 St. Mary's church in Parnell used to be the Anglican cathedral until a larger brick structure replaced it. 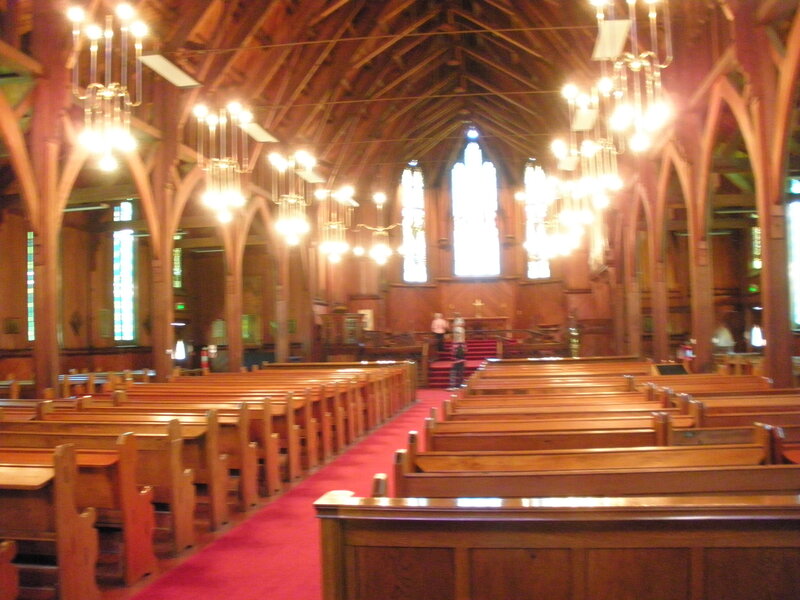 A crappy photograph of the interior of St. Mary's. 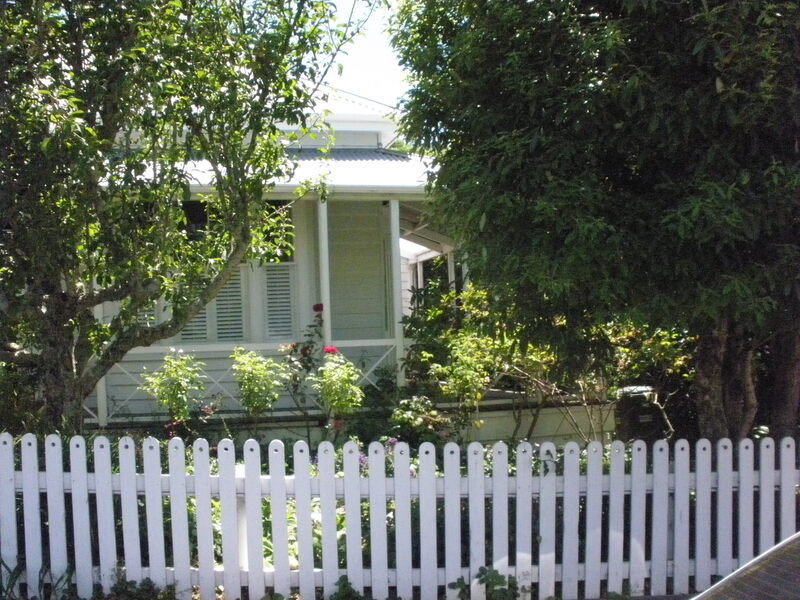 A house on a quiet residential street in Parnell. 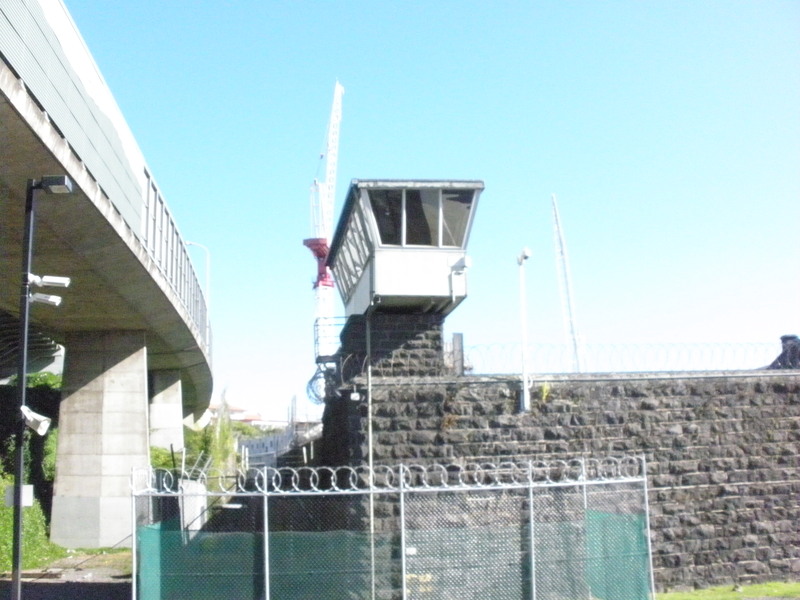 The guard tower of the big house, Mount Eden Prison. The guard tower …………..a little photoshop fun? No, seriously. That’s the guard tower. The structure to the left is a highway. Oooo, love the bungalow! What does your home look like? Oh, it’s nothing like that. It’s the shipping container our stuff arrived in. Seriously, I’ll post a picture of it soon.